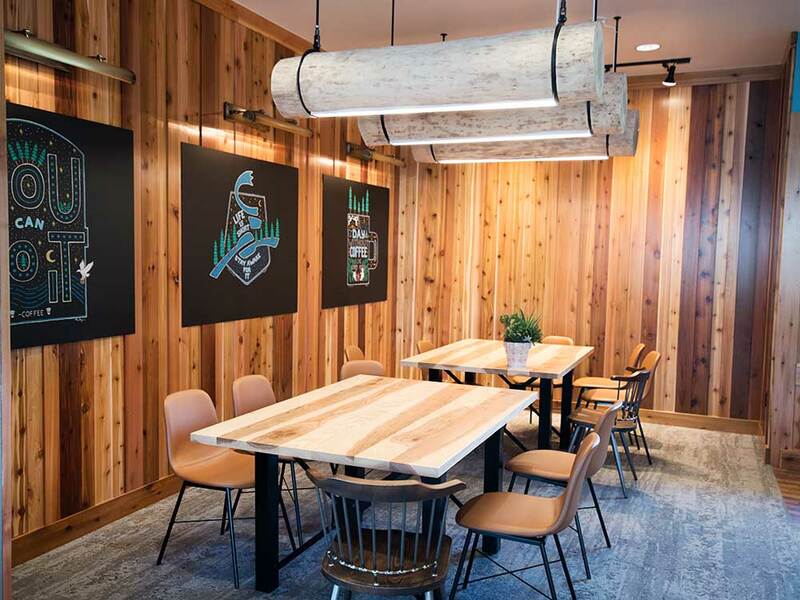 Wood From the Hood partnered with Wilkus Architects to fabricate several custom pieces for Caribou Coffee’s new store in White Bear Lake. 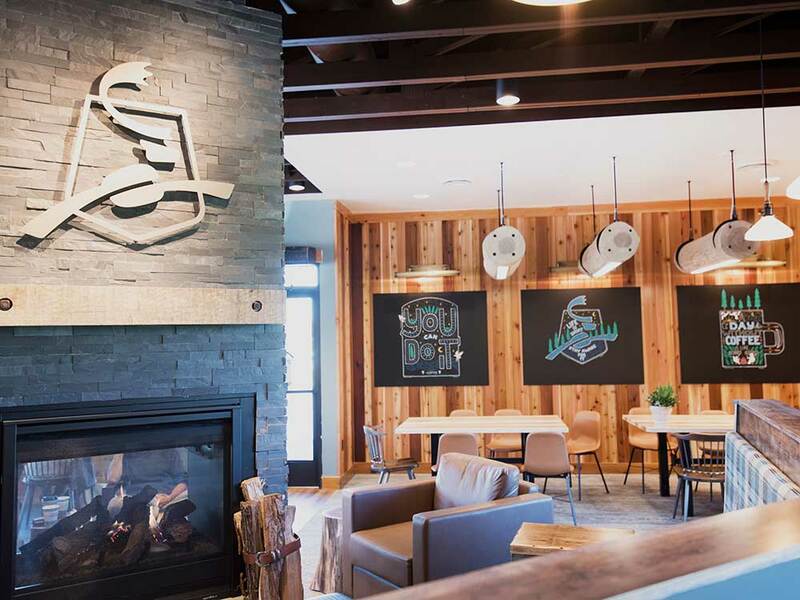 We value Minnesota-based Caribou Coffee for their support of using local vendors and given that our material comes from the Twin Cities – the two companies work well together. For this location we provided various items from dining ledges to a bench to communal tables to log light fixtures. 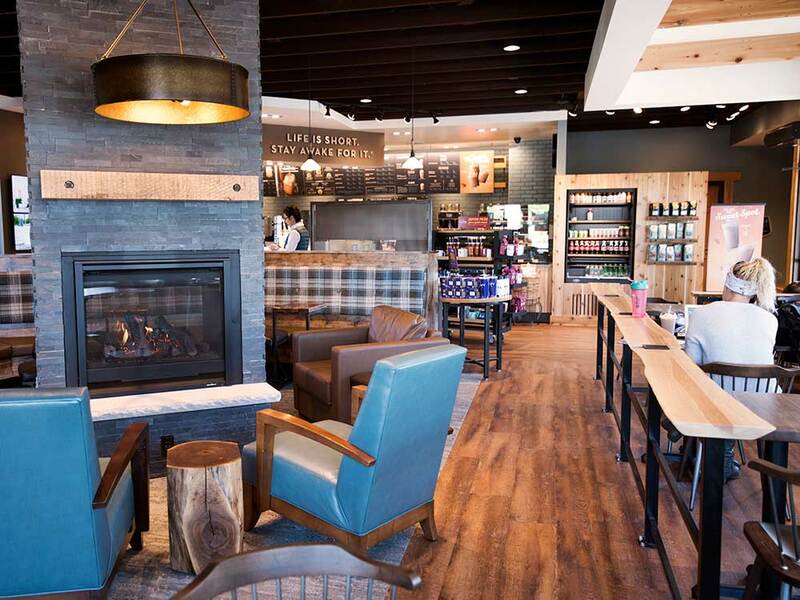 This store is a prototype concept to revise and update the look of Caribou Coffee so they were testing out a number of ideas that could potentially be used in future builds. 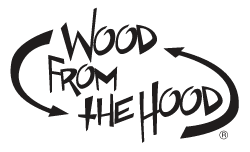 Some of the items were 100% custom fabrication, products that Caribou had never purchased before, and that Wood From the Hood had never built before – we love a good challenge and the benefit of using Wood From the Hood is we can custom fabricate pieces made exactly to the client’s requirements. 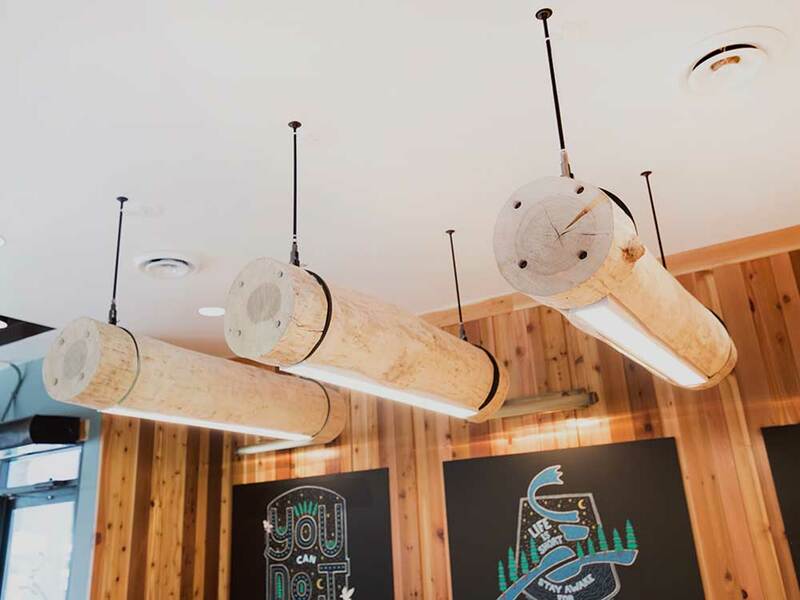 The finished reclaimed log lights and live edge slabs mix well with Caribou’s woodsy modern style.